Easy to use, parametric hull design software for sailing yachts and commercial vessels. Developed for initial design and shape optimization. Supports export to several marine CAD-programs and CFD analysis tools. Hydrostatics module and automated fairing inclusive. Custom interfaces and additional modules on request. 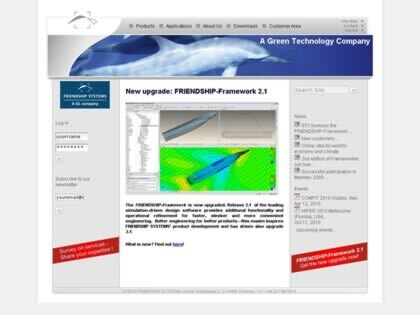 Web Site Snapshot: If available, above is a snapshot of the FRIENDSHIP-Systems web site at http://www.FRIENDSHIP-Systems.com as it appeared when this site was added to the directory or last verified. Please Note that Boat Design Net has no involvement with the above web site; all content and images depicted in the above thumbnail are the property and copyright of FRIENDSHIP-Systems unless otherwise noted on that site. Description: Easy to use, parametric hull design software for sailing yachts and commercial vessels. Developed for initial design and shape optimization. Supports export to several marine CAD-programs and CFD analysis tools. Hydrostatics module and automated fairing inclusive. Custom interfaces and additional modules on request.